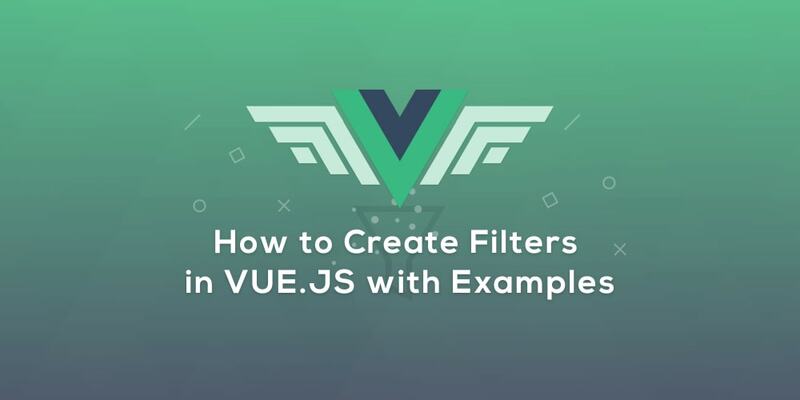 Similar to AngularJS, Vue.js has its way of transforming data and applying filters to it, but you must keep in mind that filters don&apos;t transform the original data, they only change the output and return a filtered version of it. Filters can be useful in a lot of different situations like keeping your API responses as clean as possible and handling the formatting of your data on your frontend. They can also be efficient in cases where you want to avoid repetition and concatenation by encapsulating all that logic behind reusable code blocks. I hope this small introduction got you excited to learn more about Filters. How you can create and use them and couple more things you will discover going through the article. HERE WE GO! With that in mind, be careful reading or watching old tutorials. Here is a full list of the old default filters in case you want to learn more about them: Filters - vue.js. With Vue, you can register your filters in two different ways: Globally and Locally. The former gives you access to your filter across all your components, unlike the latter which only allows you to use your filter inside the component it was defined in. PS: The filter definition must always be above the main Vue instance, or you will get a “Failed to resolve filter: toUSD” error. // That turns the string you give it to upper-case. In this example, we created a filter with the name “readMore” which will limit the length of a string to a given number of characters and will also append a suffix of your choice to it. Vue.js passes the value to be filtered as the first param text and length, suffix as the second and third parameter. One of my favorite things about Filters is the ability to chain them using the pipe ( | ) symbol and run a single value through a series of transformers. Let’s use the example of price value again; we want to limit it to two numbers after a comma and add the dollar sign to it. If you are interested in these filters and you want to use them in your project GitHub - wy-ei/vue-filter: A collection of Vue.js filter. offers a set of a very useful Vue.js filters including the ones above. Head over there to see how you can install and use them. I hope you learned something from this post and you now know how to create and use filters and most importantly you can now refactor your code and clean it a bit with filters. Stay tuned for more Vue.js tutorials and see you soon!